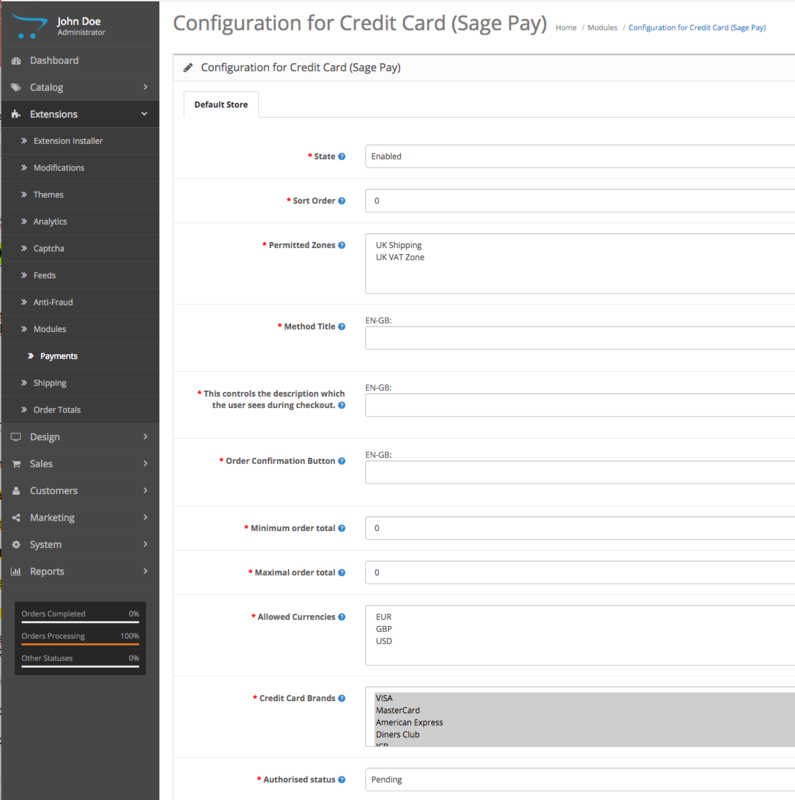 The module links your OpenCart shop to the payment system of Sage Pay. You receive a license of unlimited duration and are additionally granted 12 months of free e-mail and telephone support as well as access to all our updates and upgrades. For the development and improvement of the modules we are in active contact with Sage Pay. We trust our quality. If the module does not work in your shop, you get your money back! Give your customers access to numerous new payment possibilities. Besides the known credit cards (Visa, Master Card, etc.) you can also integrate debit cards (Maestro, etc.) and eWallets (PayPal). A detailed list of the supported payment methods can be found further below. All sellXed modules are based on SagePay V3. Due to the integration of the Token System the customer's order process is greatly simplified. Once the credit card data has been entered it can be saved for later purchases. The storage occurs with Sage Pay and is therefore fully PCI-compliant. Sage Pay Payment Extension also supports capturing, cancellation and refund. This means that you can process payments directly from the administration interface of the shop and no longer have to log into Sage Pay. This simplifies the payment processing a lot. 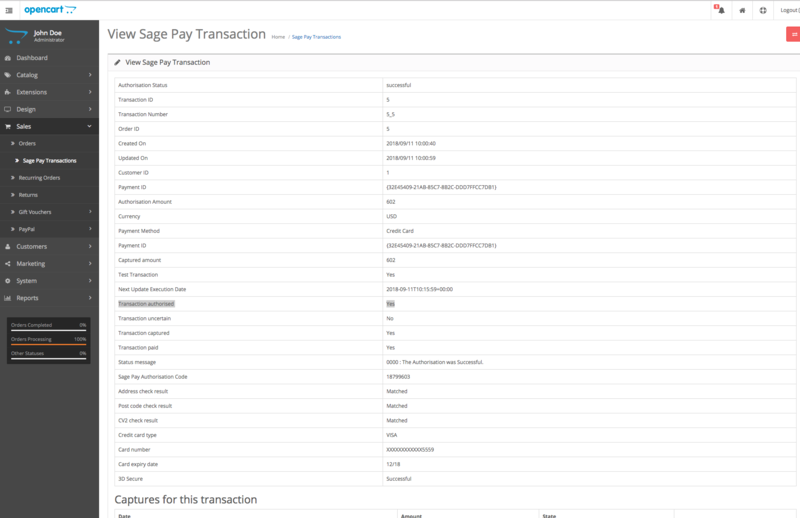 Further information on the transaction manager can be found under payment processing (see below). 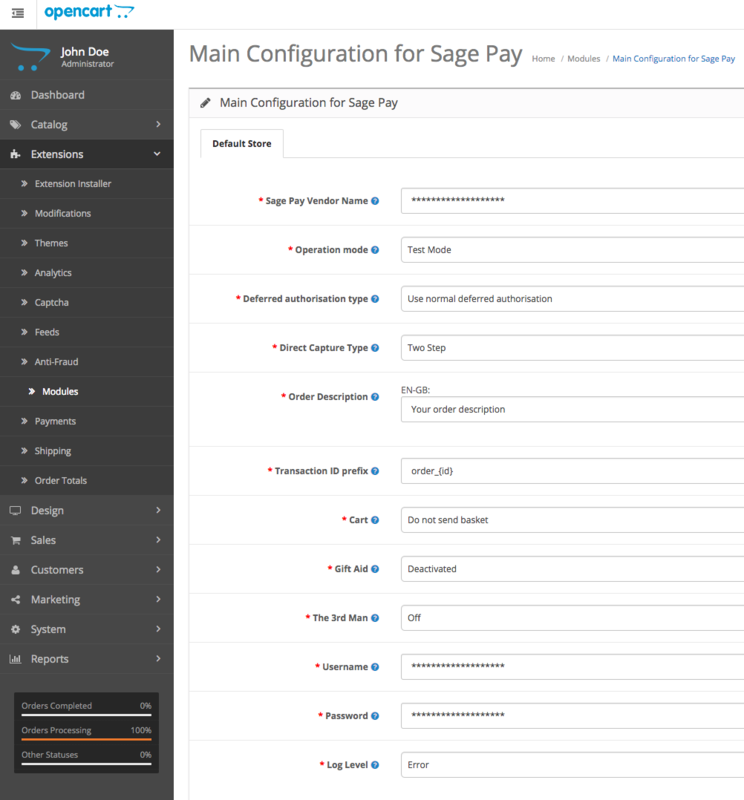 With the Server Integration the customer is redirected to the payment page of Sage Pay for the completion of the payment process. 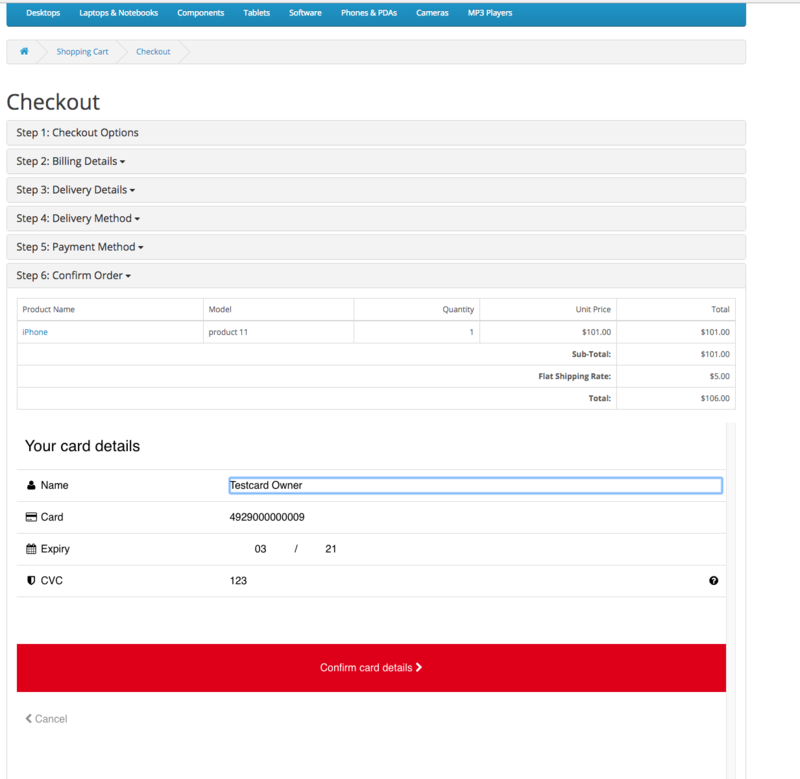 In combination with the inFrame Integration the payment page can be loaded with the layout of the merchant's shop and the customer therefore does not realise that he has been redirected. 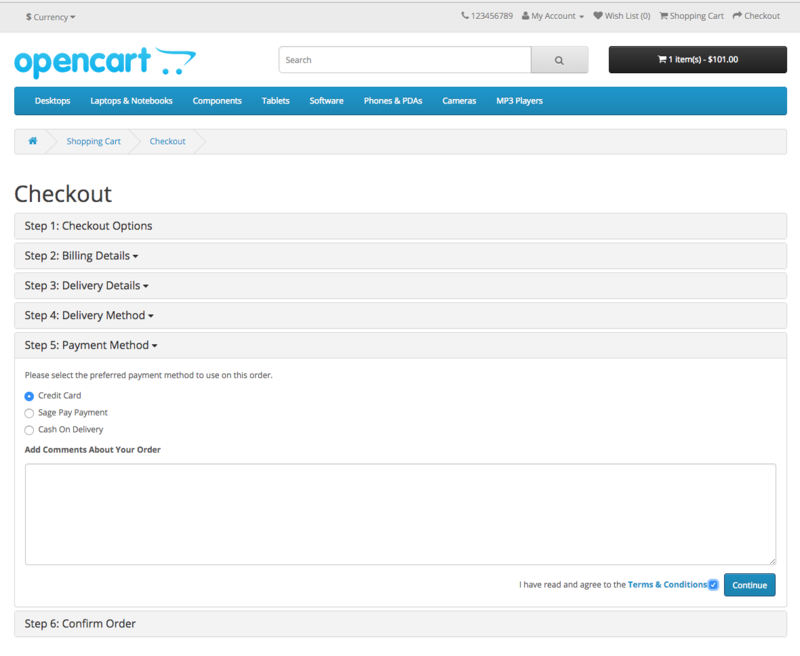 By buying OpenCart Sage Pay Payment Module you acquire, in addition to the license, comprehensive support services. We are aware of the importance of payment processing for your shop. In order to guarantee its security, functionality and compatibility we constantly release updates and upgrades. You are granted free access to these improvements during the download period. In case you encounter problems during the integration or while using the modules, you can profit from free support per telephone or e-mail. Optionally we also offer an installation service including the entire configuration of the module in your shop and with Sage Pay; this service can also be ordered retroactively. Convince yourself and check out the OpenCart Sage Pay module directly in our demoshop with a live-version. To do so just click on Demo further below. customweb is Approved Partner of Sage Pay. This guarantees you comprehensive functionality and smooth operation. The modules were developed in close cooperation with Sage Pay.